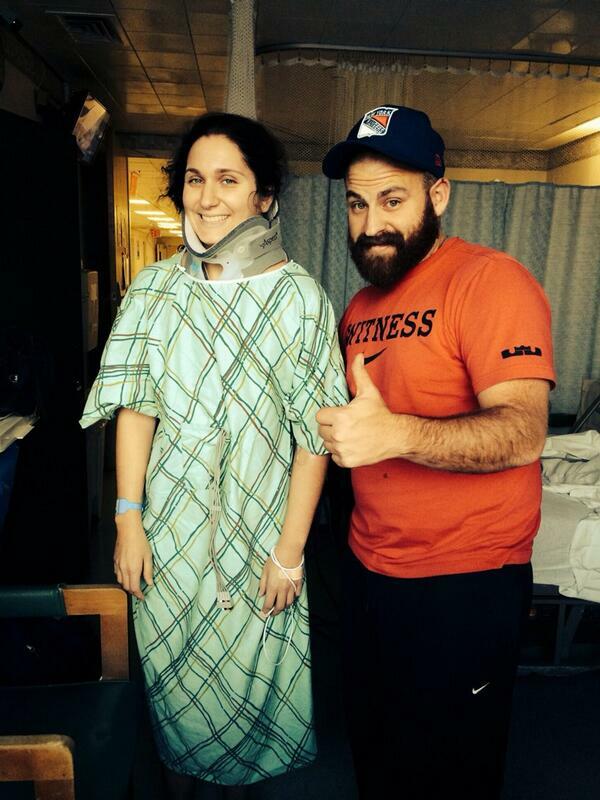 If you guys didn’t hear about it, two of our members, Marissa & Bryan were injured in the Metro North train crash on the way to our #MetLifeTakeover Bryan was knocked out but he was fine, but Marisa was pretty badly injured. She broke her spine and has to get an artery repaired by a specialist. I wanted to help them raise money but they didn’t want it, so instead we got them some gifts. 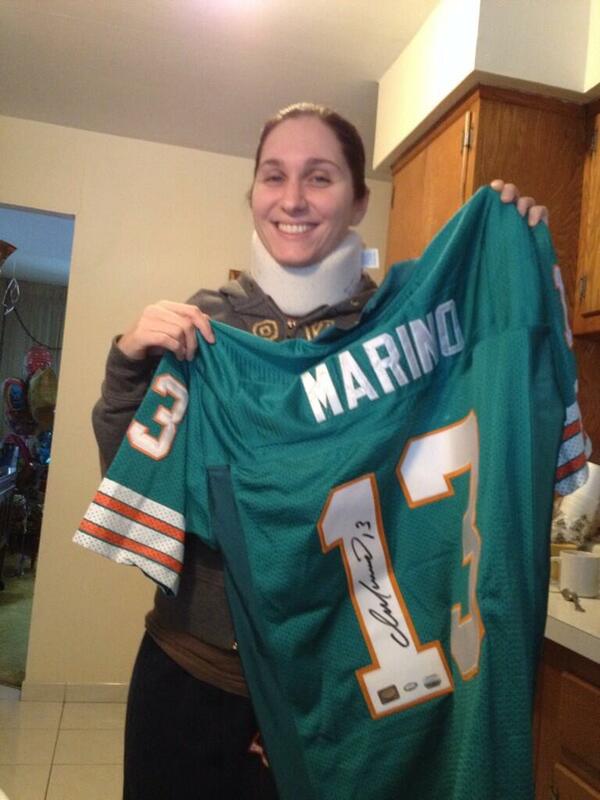 Marisa had her Marino jersey cut off at the hospital so of course we had to get her a new one. We got her a vintage one, as well as a signed one! 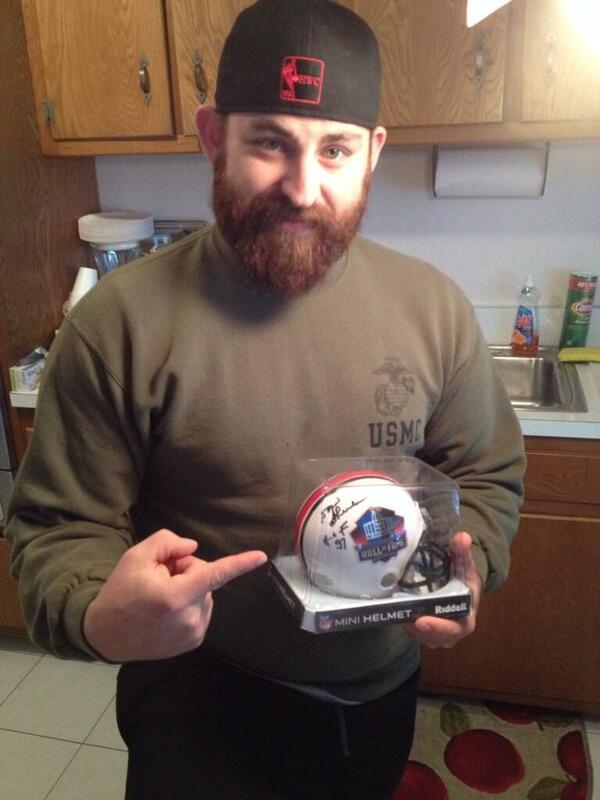 I wanted to get Bryan something as well since he missed the game and is dealing with all this stuff too so we got him a signed Don Shula helmet since he was a big fan. We also had a ton of people at Slattery’s sign a get well card for Marisa. All the money we spent on this stuff came from money raised at the #MetLifeTakeover so if you threw in a few dollars or bought at t-shirt or a hat you helped make this tragedy a little better for them. 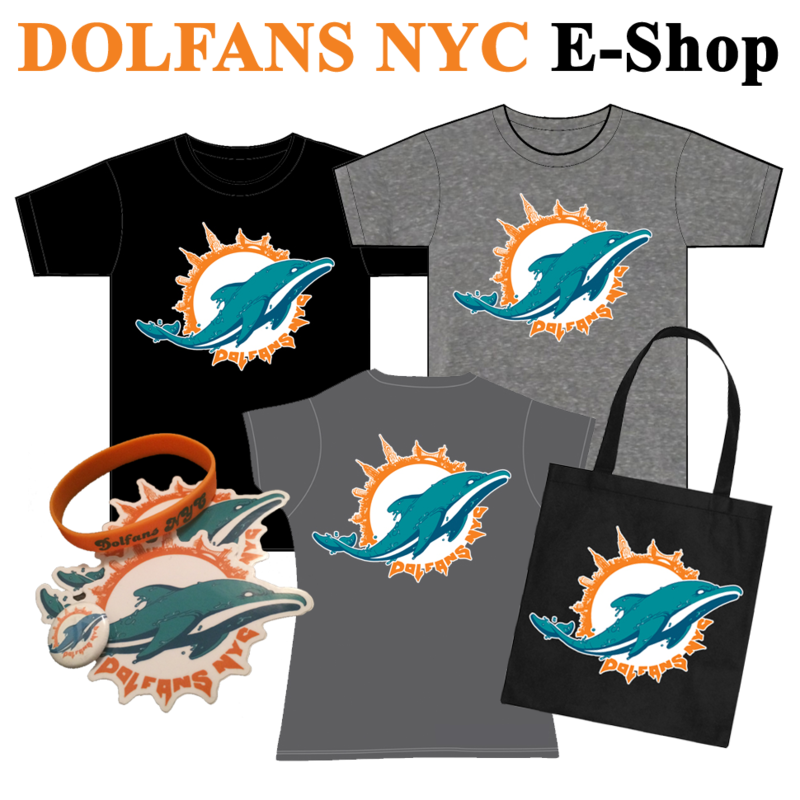 We donate a ton of money to charity every year and I can’t think of anything better than helping out some fellow NY Dolphins fans. Anyway, I wanted to share a few pictures with you. The first one is the last photo they Tweeted before the crash. That’s them on the way to Slattery’s to catch a bus with us to the game. Moments later their train crashed. The second is them in the hospital when Marisa finally left the intensive care unit. The last two are them with their gifts from DolfansNYC! 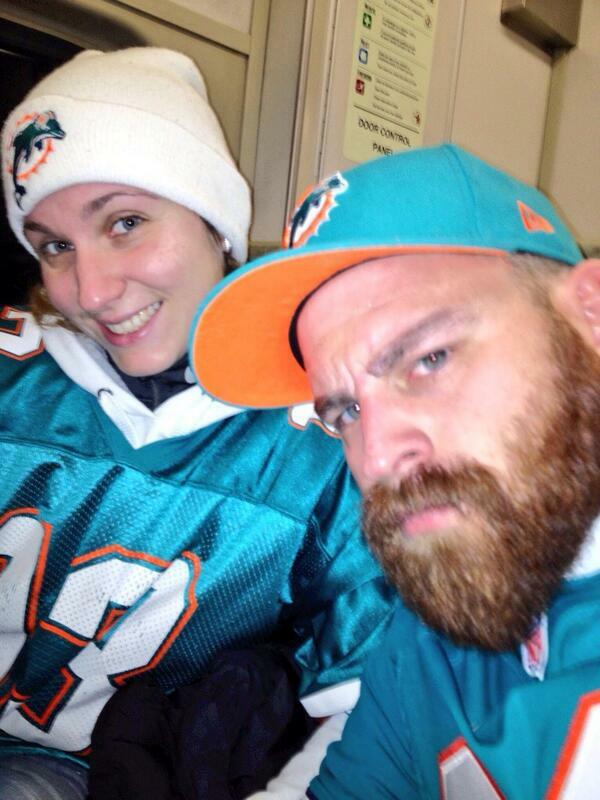 If you guys want to send some love to Marisa and Bryan you can reach em on Twitter! Marisa is @gemmati4 and Bryan is @miamifinfan. Try not to hold Bryan being a Rangers fan against him. His head got hit pretty hard in the crash.